Beauty may be in the eye of the beholder, but there’s certainly nothing wrong with getting a little extra help. There’s no denying that I am a huge beauty junkie. I love getting the scoop on new luxury cosmetics that come out and being one of the first to get my hands on them. A few months ago, I realized that this was a legit problem! I was drowning in makeup and rather than feeling like I had tons of options to choose from, I felt overwhelmed with all of the products I had in my collection — few of them being travel-friendly or condensed enough for me to throw in my bag when I’m on-the-go. 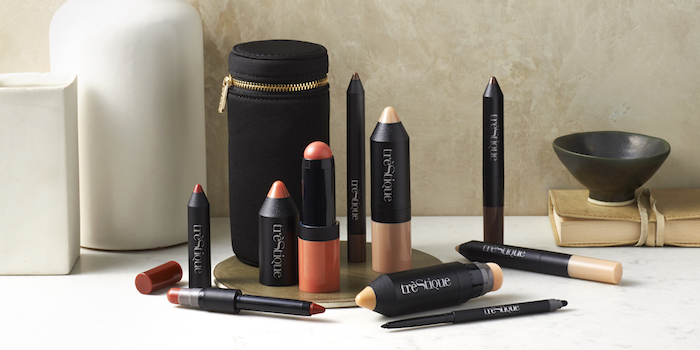 Lo and behold, the beauty powers that be answered my prayers when I discovered the TrèStiQue Essential 8 kit — a customizable makeup set of 2-in-1 Face, Eye, and Lip makeup crayons. Ever since I’ve been using them, I’ve managed to cut my beauty routine to half its original time; a mommy miracle I once thought was too good to be true. PLUS a super sleek cylinder bag to hold it all in. I was honestly shocked at how compact and cute the packaging was, but the question still remained; do the products work well? After trying them for a few weeks now, I can say YES without a doubt! Although I’m a liquid foundation gal myself, the Tinted Face stick is super easy to apply and mess-free (because who needs messy products around a toddler and an infant) and the eye shadow crayon was a downright miracle worker. 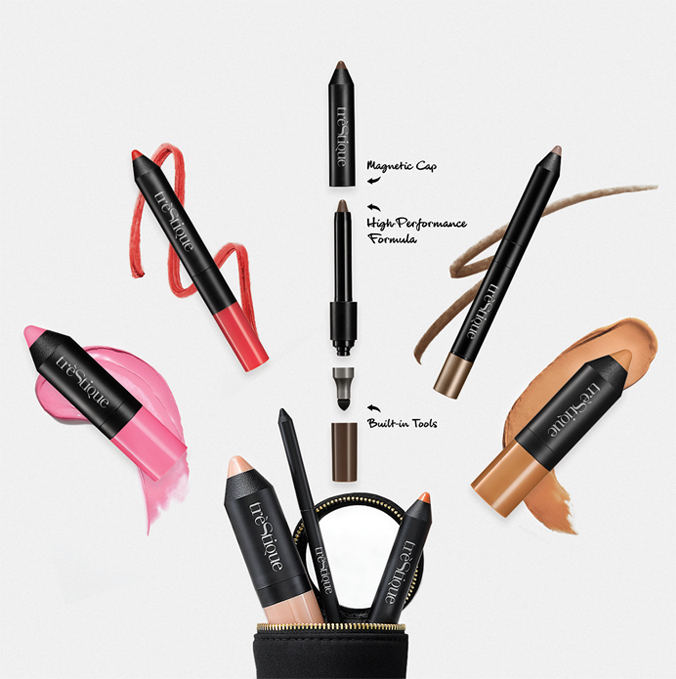 Although I plan to stick to my hearty go-to products for nights on the town or more formal events, the Essential 8 kit has certainly become my go-to for those days when I want a simple, chic makeup look. I’d love to know if you guys love the TrèStiQue Essential 8 kit as much as I do! Have you tried it yet? If so, let me know your thoughts in the comments! If not, you can shop it HERE and use code NEWMAK3UP for 15% off your purchase (you’re welcome! ).